I was really really looking forward to this book, so much so that I tried to put in a request with the publisher. That didn’t work out though so I’m glad I was still able to read it through Around the World Tours. This is one of those books that for me was better borrowed than bought when it’s released. 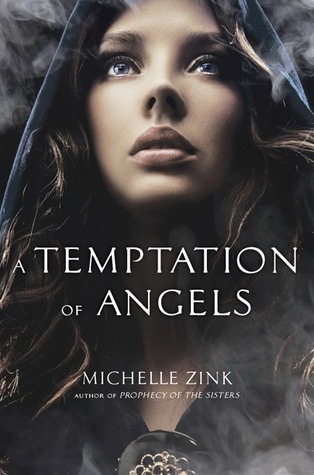 I liked the overall concept, descendants of angels protecting the Earth and everything. But I felt like I was left with more questions than answers, which seems typical of books that end up being series. There wasn’t quite enough back story and worldbuilding done. And while it’s fairly obvious that it’s set in an older timeline, maybe late 1800s, there was one instance that had me questioning that. And things didn’t really start heating up action wise until almost the very end. The writing was well done though, which is the main reason I continued with the book despite it not thrilling me. It flowed very nicely. All in all, for me personally this wasn’t one of the better entries into the angel part of the paranormal genre. I’ll probably continue if this is made into a series, but I won’t feel the need to read them right away.